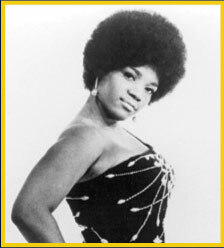 One of the many Chicago Soul Queens, the talented Miss Barbara Acklin . While there is no official Chicago Soul Queen, I sure wouldn't mind putting my money on Barbara Acklin for that title. The woman could blow to say the least! Her first release was under the name Barbara Allen on the Special Agent Label. She also sung background for Etta James and Fontella Bass (Rescue Me). Barbara Acklin first charted with a Gene Chandler duet "Show Me The Way To Go" in 1968. "Love Makes A Woman" was the second single to be release and it climb to the Top 20 on the Pop Charts and hit #3 on the R&B charts making it her most successful song. Barbara Acklin also co-wrote several of The Chi-Lites hits with boyfriend Eugene Records (Oh Girl, Have You Seen Her, Stoned Out My Mind). Barbara Acklin died in 1998 but she will continue to live on through her music!